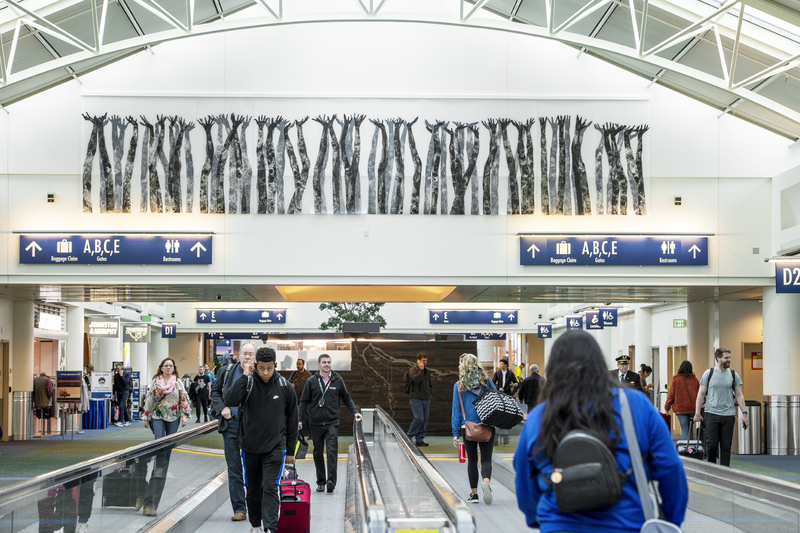 The PDX Art Program is honored to present In the Wake, a spectacular ten panel site-specific installation by acclaimed Portland artist Samantha Wall, currently on view post-security overhead within Concourse D at PDX. These compelling large-scale artworks of ink on Dura-Lar are an exploration into Wall’s family identity, cultural history, and loss. The drawings are inspired by Korean ritual narratives of cleansing and healing and will be on view for one full year, through March of 2020. Samantha Wall is an artist working in Portland, Oregon. Originally from Seoul, South Korea, Wall immigrated to the United States as a child. 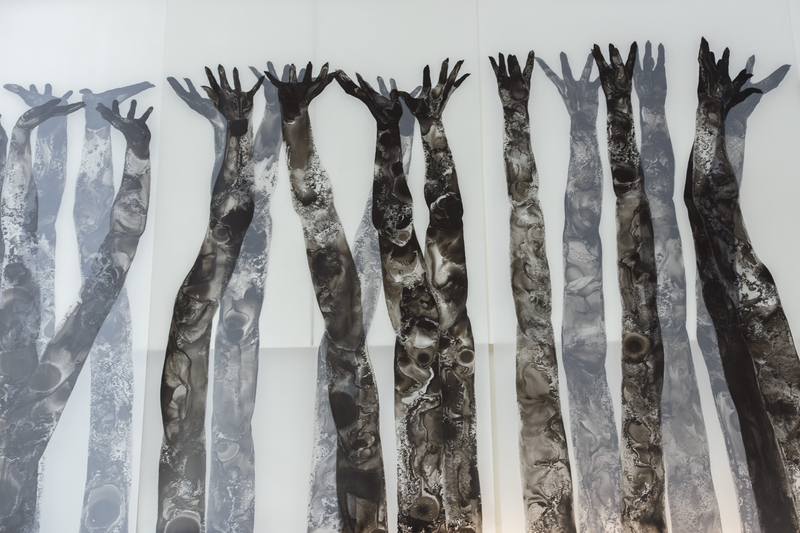 Her images explore identity through the push and pull of cultural diaspora and human interconnectedness. Wall’s monochromatic figure drawings feature meticulously drawn women who embody Wall’s interest in navigating multicultural experiences. Samantha Wall’s work has been featured in both solo and group exhibitions regionally and nationally. 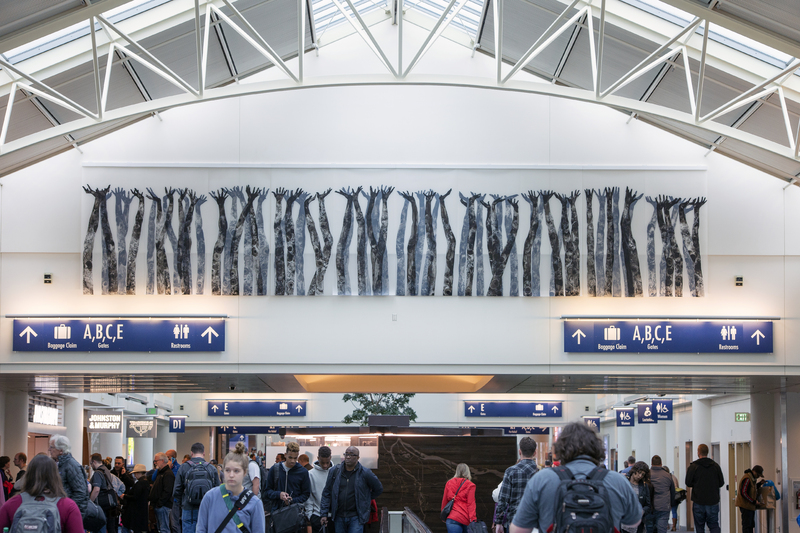 She graduated with an MFA in Visual Studies from the Pacific Northwest College of Art and is the recipient of awards and grants from organizations including the Oregon Arts Commission; Oregon’s Regional Arts & Culture Council; The Ford Family Foundation; and The Joan Mitchell Foundation. 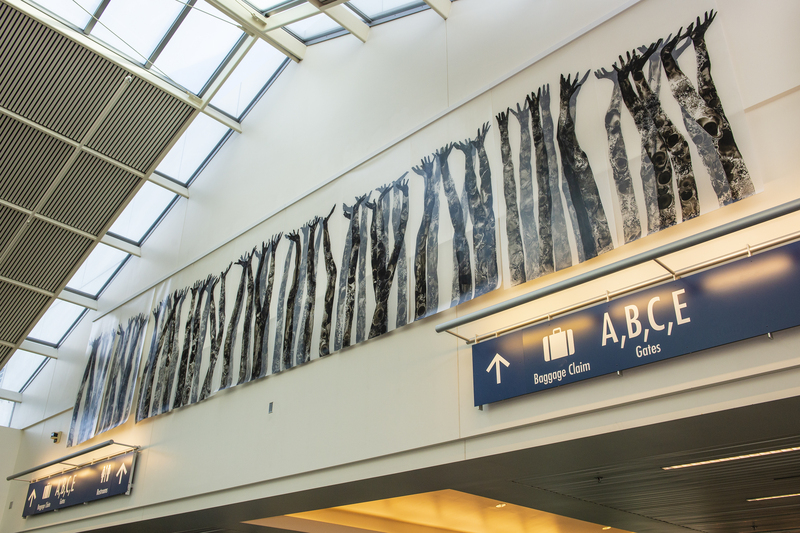 Most recently, Wall is the winner of Portland Art Museum’s Contemporary Northwest Art Awards Arlene Schnitzer Prize. 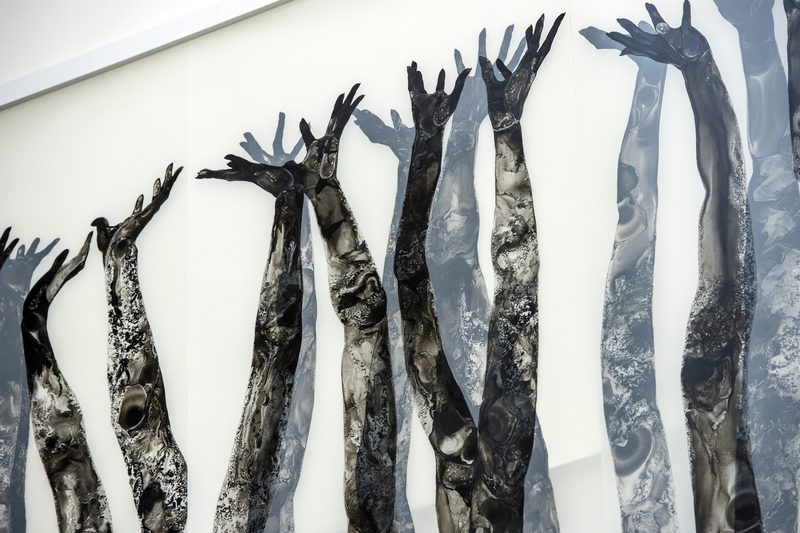 Samantha Wall’s work is included in the collections of the Portland Art Museum, the City of Portland, and numerous private collections.